I love gifting my friends edible gifts. I wait for opportunities, birthdays, anniversaries, 'just like that i made this' and make them guinea pigs for many of my experiments. 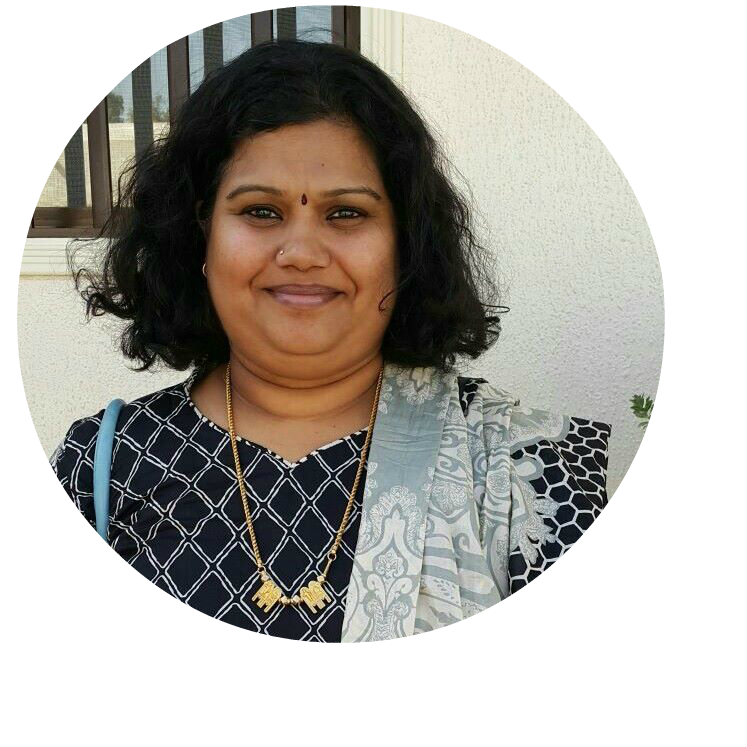 We celebrated a dear friend's birthday in October, i made some granola, nankhatais, her favorite fruit cake, mango muffins, ragi ladoos etc to add to her gift basket. I frosted the mango muffins with ganache, which is her favorite frosting. The muffins were such a hit, kids wanted me to make it again. So, for diwali when i made mango ladoos, my son was behind me asking me bake mango muffins for him. 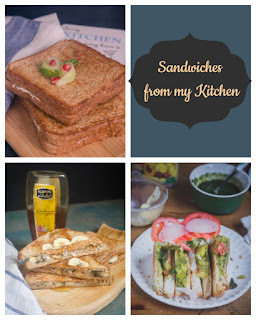 I froze the leftover puree, so last week when i was planning the bake-a-thon bakes, i made these again and this time, ensured i click them for the blog too. Take cream cheese, butter and whipping cream together in a bowl, whip together for 3-4 minutes, add icing sugar and whip for another minute. The frosting should be thick and holding by this time. Keep it refreigerated until use. Preheat the oven to 170C, line a muffin tray with liners. I got around 10 muffins. Depending on how you fill the muffin tray, you might get around 10-12 normal-sized muffins. In a large bowl, sift together whole wheat flour, baking powder and baking soda. To this add pounded cardamom and clove powder. In another bowl, take mango puree, sugar, add oil and butter milk to it and using a electric beater beat together to form a uniform liquid. you can also whisk it with your hands, i prefered electric beater. Take the dry flour mixture and add it to the liquid in 3 batches. While adding mix it together using a spatuala. Take care not to mix vigorously. Mix in one direction, see to that there is no traces of flour in the batter. 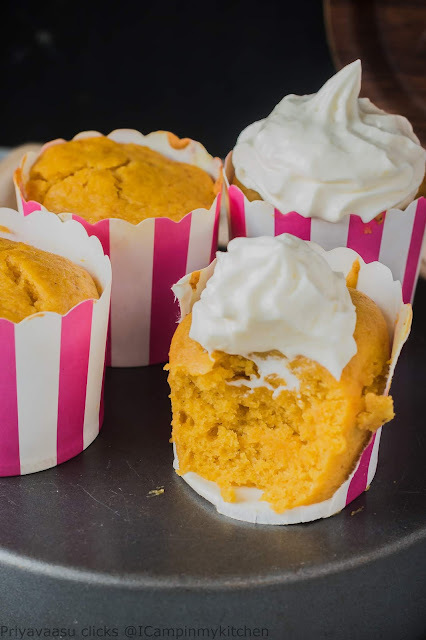 Using a ice-cream scoop or a ladle, scoop the batter into the prepared muffin tray. Fill 3/4 th of the each muffin hole. I usually grease the ladle or the ice-cream scoop with little oil, so the batter won't stick to it. Bake the muffins in the preheated oven for 40-45 minutes or until a skewer inserted in the middle of muffins comes out clean. Once done, remove the muffins from the oven, transfer it to a wire rack, let it cool completely. If serving without frosting, serve it warm. 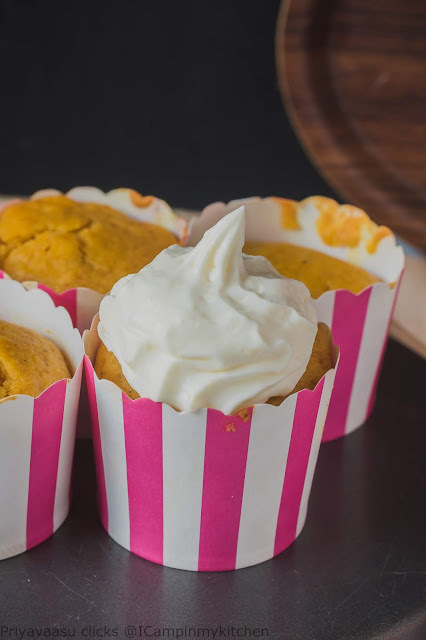 If planning to frost, fill the frosting in a piping bag, using any nozzle, pipe some cream on top and enjoy the muffins. Am in love with this ultimate muffins,feel like licking the frosting.. Mango and cardamom whatelse we need. Mango muffins looks fantastic Priya. We don't get canned puree here. So will wait for the season. The texture of the muffins look great. what's wonderful is you gifting those edible gifts, Priya .. naanum friend queue le nikkuren :-) lovely bday hamper and the muffins look delish. I am personally not a fan of mango in any form but the fruit, but I think the little one would love this, probably with some chocochips on top ! Mango muffins sound delicious , I love this fruit and can enjoy anything and everything made with it ! 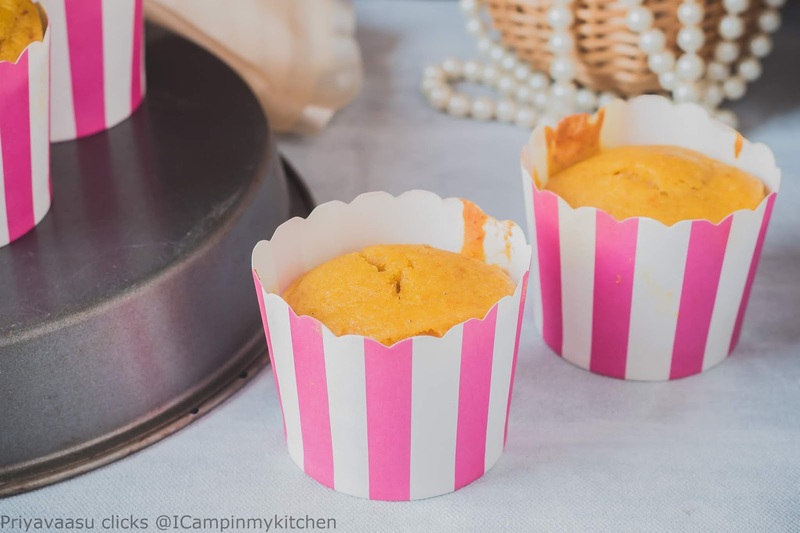 Mango in muffins sounds like a great idea. I love mango in all forms. These look perfect. Mango muffins look great Priya, and it's a wonderful idea to gift edible gifts, makes it so personal and special..very nice! 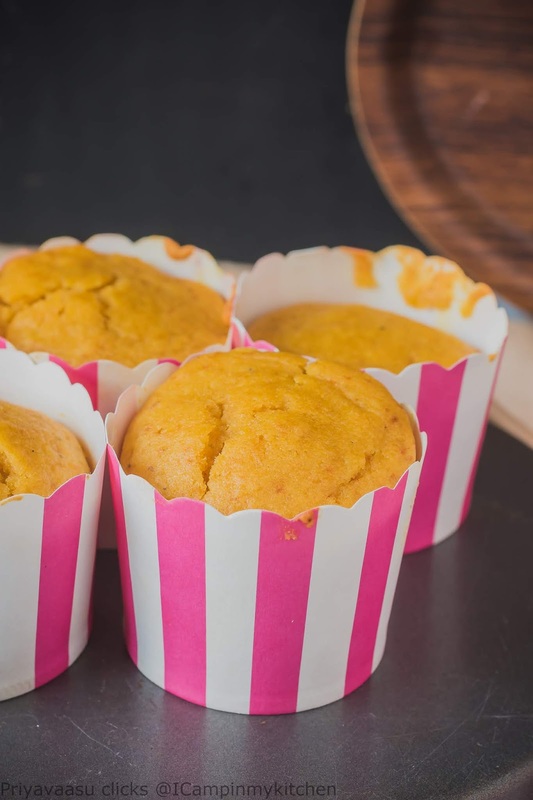 Mango muffins look awesome,anything with mango is my family's favorite.My kids would love it for sure. Mango is my favourite fruit and these muffins look so delicious, pretty yellow color!! I too personally like to give handmade gifts especially my bakes to friends and near and dear ones! !Miss Indian Mangoes here in US. 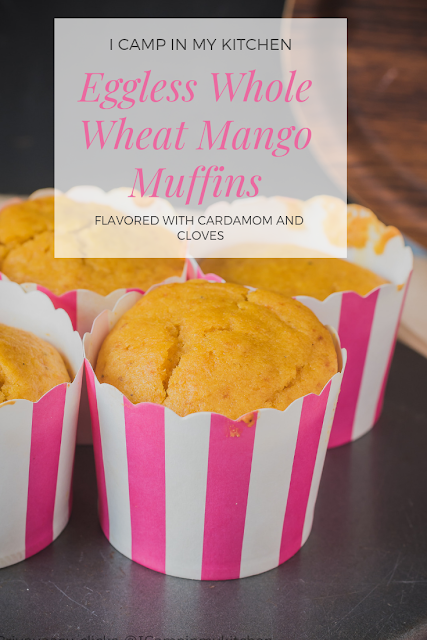 I love flavored anything and these mango muffins sound absolutely delicious. Cardamom must have added a nice Indian flavor to the muffins. 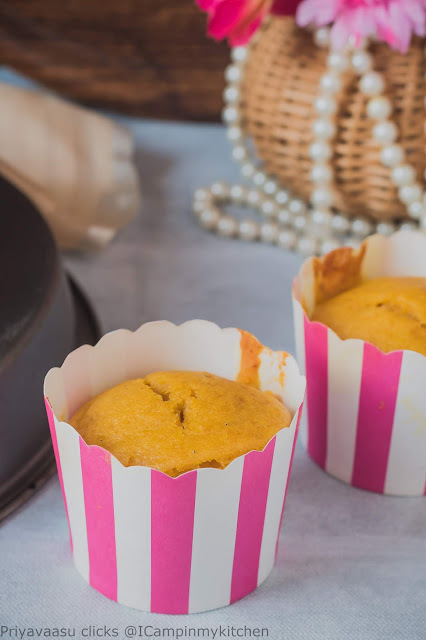 Mango and cardamom love when they both baked together.. Super yum..
Mango flavoured muffins looks absolutely delicious and moist. Loved the colour of the muffins. What a good friend you are, Priya. I bet your friend enjoyed the birthday hamper. 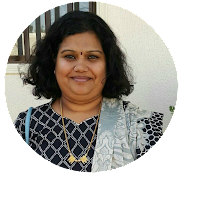 My daughter runs away from all tropical fruits which we grew up loving in India. Those muffins look so colorful and moist. 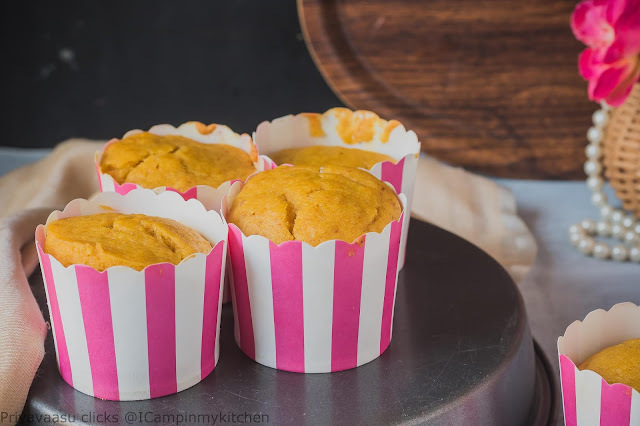 lovely muffins and I have some mango puree in the fridge right now I need to use up! 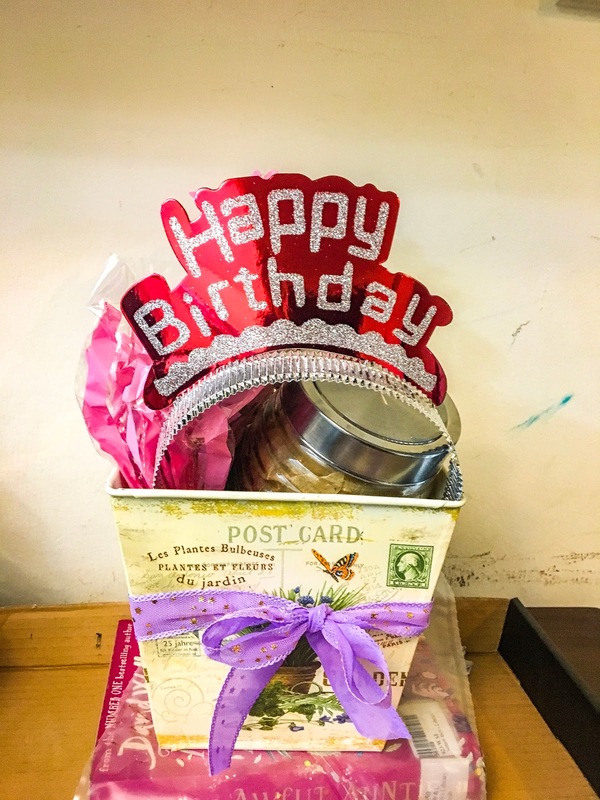 First of all, that birthday hamper looks awesome Priya! And then these muffins are something that my kids would love to indulge on!